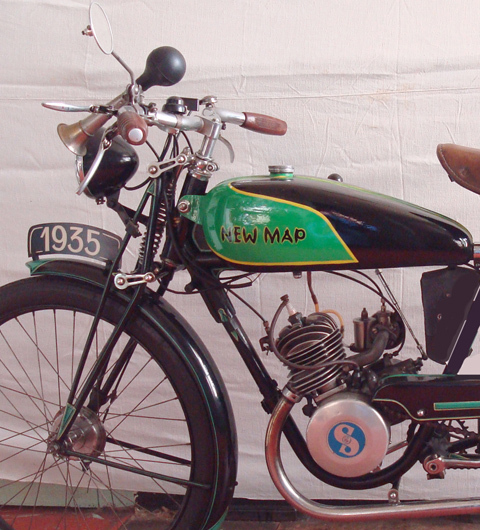 SUMMARY: Everything on this unusual motorcycle is in first class condition. 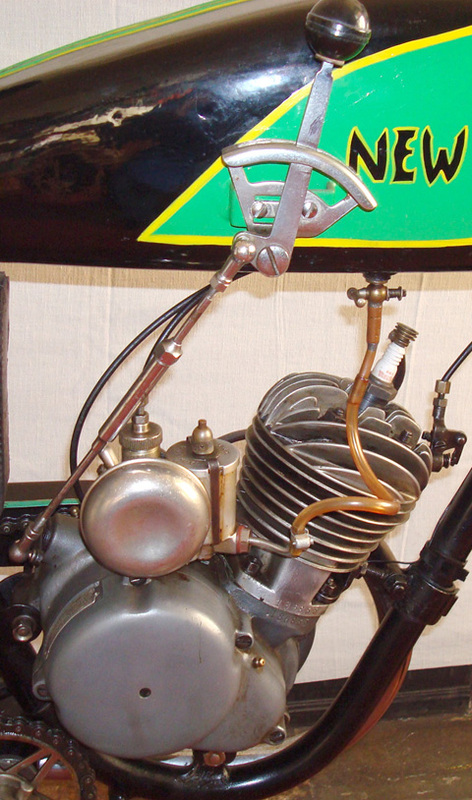 The brush-painted metalwork is in very good condition. Mechanically everything is first class. 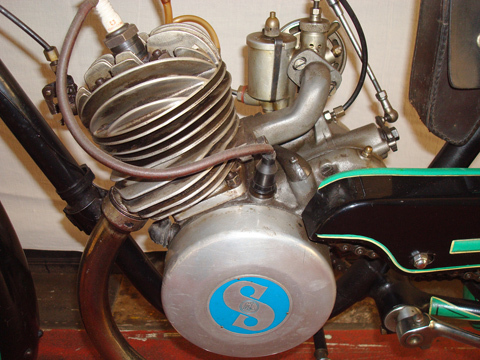 Fichtel & Sachs spares are easy to obtain should any be needed. 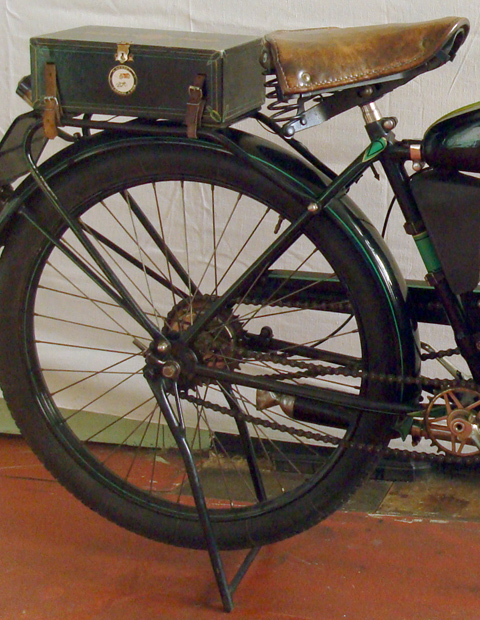 So it’s a practical 75-year-old machine to own and use. 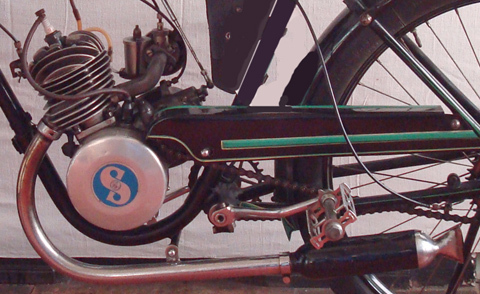 Once registered (using the French docs) it’s ready to jump on and ride. 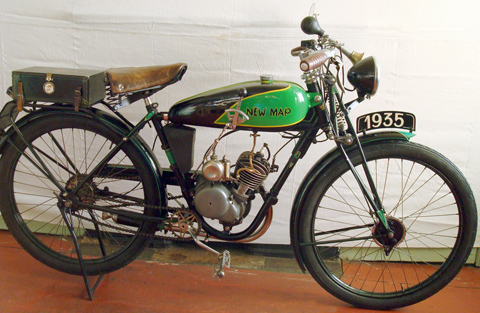 The 100cc ‘New Map Baby’ lightweight motorcycle was added to their range in 1933 and produced until 1936. 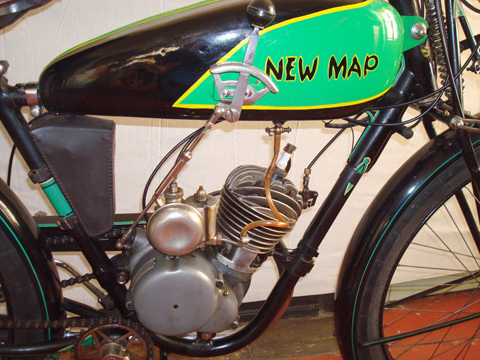 New Map used the same Fichtel & Sachs engine when they introduced a new ‘New Map Baby’ in 1938. 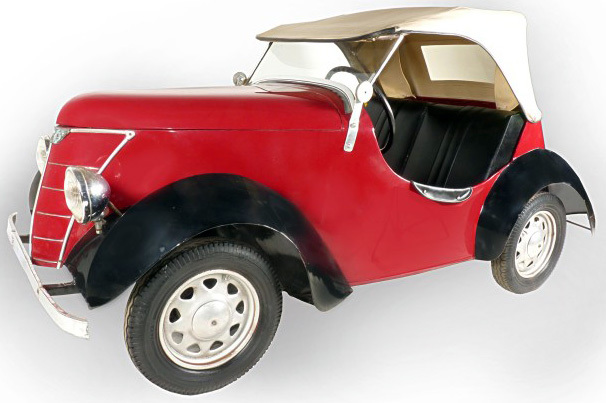 This new model was a microcar . 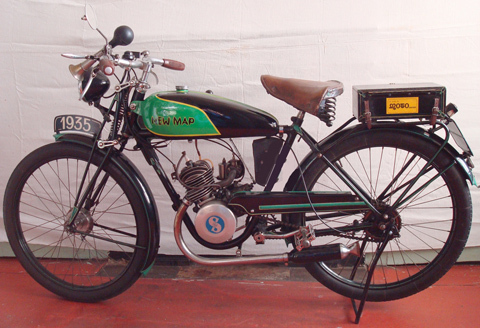 When production resumed after WW2 it was known as the Rolux Baby (below). 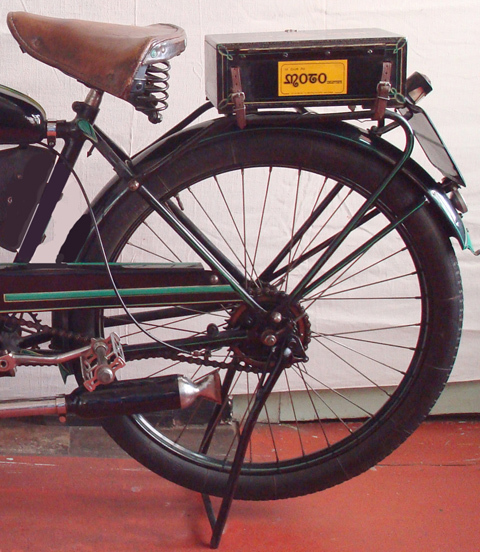 The company also made the utilitarian Solyto three-wheeled van (below). 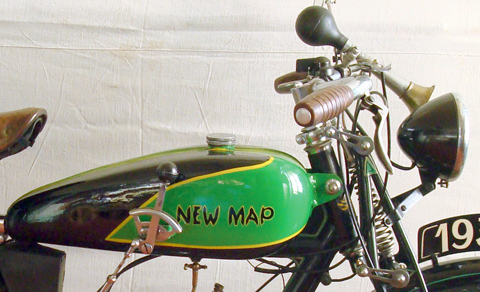 This motorcycle was restored many years ago, in a style that was typical at the time. 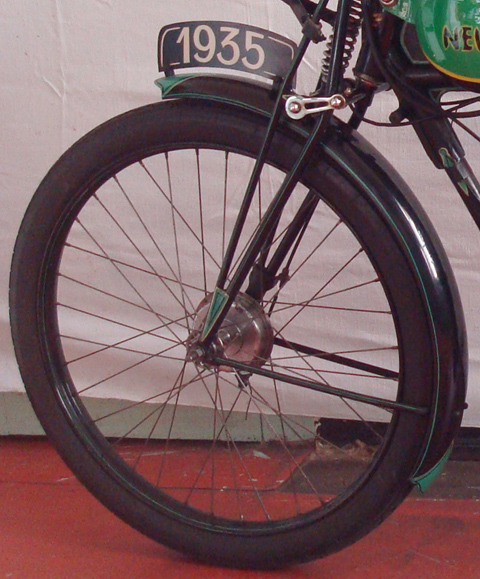 The German company Sachs was founded in 1895 to manufacture bicycle parts. 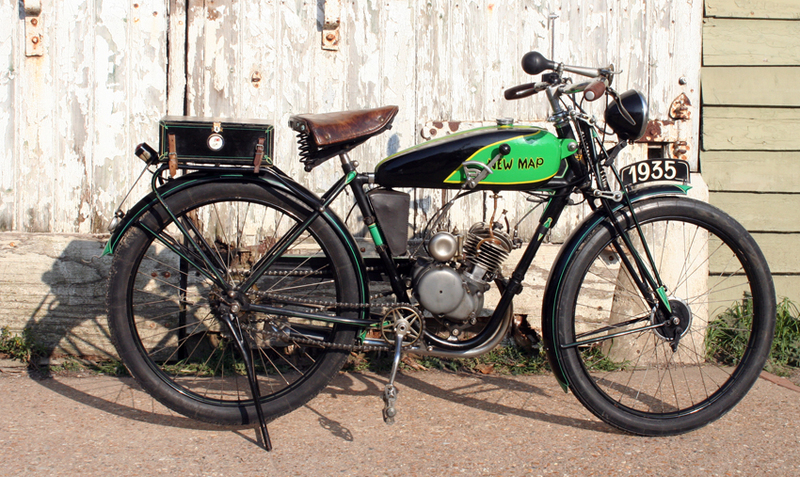 By the end of the 1920s, they saw a potential for cheap motorized lightweight motorcycles. There were 12.5 million cyclists in Germany alone.